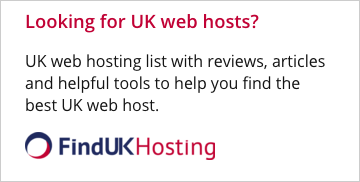 HostSearch interviewed Robert King, Founder and Managing Director at eUKhost - one of UK's leading web hosting providers. HOSTSEARCH: Hi Robert - Thank you for letting us taking up your valuable time. Can you please let us know a bit about your background? ROBERT KING: Thank you for giving me this opportunity. I started off my journey at the age of 13, learning web development. And by the age 17, I had founded eUKhost Ltd. With a goal to give people more time to build their business by allowing us as the experts to do the server management. This was achieved by being one of the first web hosting providers in the world to provide true 24x7 live chat support and today I am proud to say we have over 35,000 customers worldwide. ROBERT KING: As the web adapts to advances in technology we are ever at the forefront in the changing market. Just recently we introduced our own in-house developed website malware and virus scanner preventing the ever growing malicious threats to our customers. We also offer domain names, cPanel Hosting, WordPress hosting all the way through to advanced private cloud solutions. All our customers get 24x7 live chat, telephone or ticket support. HOSTSEARCH: eUKhost has been in the business for over 14 years now, what are your company strengths? ROBERT KING: Using the latest hardware and software innovations we are able to offer unmatchable server performances backed by the ability to provide exceptional customer service at any time of the day. HOSTSEARCH: By locating in the UK, how does your company market products and services in the European market? Do you have plan to expand your market into the US and the rest of the world? ROBERT KING: All our products and services are available to anyone in any part of the world. We have partnerships with DCs across the world and an office located within our Indian DC, this enables our growth in Asia. Some customers require multiple server locations and complex solutions which we can easily accommodate. HOSTSEARCH: What is the benefit to the users who are using your WordPress Blog Hosting? How do you distinguish yourself from others? ROBERT KING: WordPress needs certain server plugins and settings to perform better than a standard server setup would. Our skilled staff are able to offer WordPress on our state of the art cloud architecture and performance tweak to allow WordPress to run at optimal performance. HOSTSEARCH: As you are Founder and Managing Director at eUKhost, what is the most important attribute that you bring to the company? ROBERT KING: With the founding mission to give customer’s the time to grow their online businesses by taking away the technical worries at anytime of the day. I’d like to think I keep the founding missions at the heart of our 300+ worldwide staff. Our average chat wait time is under 50 seconds no matter what time of the day. 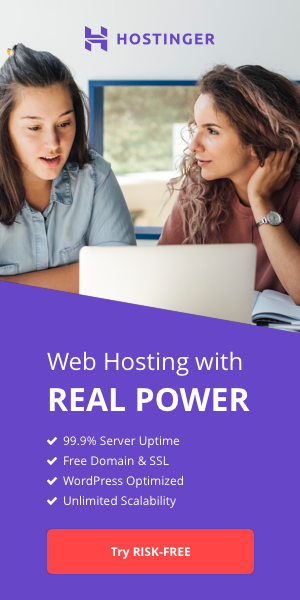 HOSTSEARCH: Can you please explain the eNlight Cloud Hosting? What are the advantages for customers using this service? ROBERT KING: eNlight Cloud Hosting is an IaaS type of Hosting. In this user is provided with Scalable Virtual Machines with a ready to use Operating System Environment. The unique feature of eNlight Cloud is that it can resize the virtual machines CPU and RAM in its runtime according to the load inside it. This allows non disruptive upgrades and downgrades to Virtual Machine without downtime. Further, it facilitates this without any manual intervention and scaling happens 24x7, every minute. For businesses and individual users, this gives cost savings and reductions of upto 70% against the competition due to its pay per Consume billing model. HOSTSEARCH: I am sure many HostSearch visitors are interested in using eUKhost services. Do you have any special offers? ROBERT KING: Continue to grow our managed services worldwide with the customer care our clients deserve. We will continue to lead and innovate the web hosting market with products and services customers need to achieve their goals, whilst making it hassle free. ROBERT KING: Thank you for your interview it has been a privilege to take part. Wishing HostSearch and its visitors all the best in their future endeavors. Don’t forget to check the eUKhost forums or blog for helpful information and howto’s. We’re also social, so feel free to get involved.